Abducted seven years ago, a woman has been held captive in a garden shed, repeatedly raped by the man she calls Old Nick and has become mother to a boy who is now celebrating his fifth birthday in the only room he has ever known. This one space is their whole world, particularly young Jack, who has never known anything but the four walls in which he lives. Brie Larson as the abducted woman is brilliant, but this isn't really Ma's story. It's her son's, and Jacob Tremblay is sensational. Helped by Emma Donoghue's script from her own novel and Lenny Abrahamson's immersive direction, Tremblay gives a performance that belies his age and is staggering in its range. He is completely convincing as a boy who has never known any different, and then who finds himself in a world that is both endless and terrifying. This could have been an exploitative thriller ripped from recent headlines and handled with all of the sensitivity of a Charlie Hebdo cover. Instead, there is only a few central scenes that get the pulse racing. The rest is incredibly stirring and yet still presented with a huge amount of restraint. While most films would have saved any escape attempts for the climax, Room is concerned more with the aftermath of such an ordeal, than just the method of escaping. Still, when Ma puts her plan in motion, it is riveting, terrifying and overwhelmingly emotional. The decision to tell the story from Jack's point of view puts us completely in the mind of this little boy for whom the outside world might just be scarier than anything else he has ever experienced. 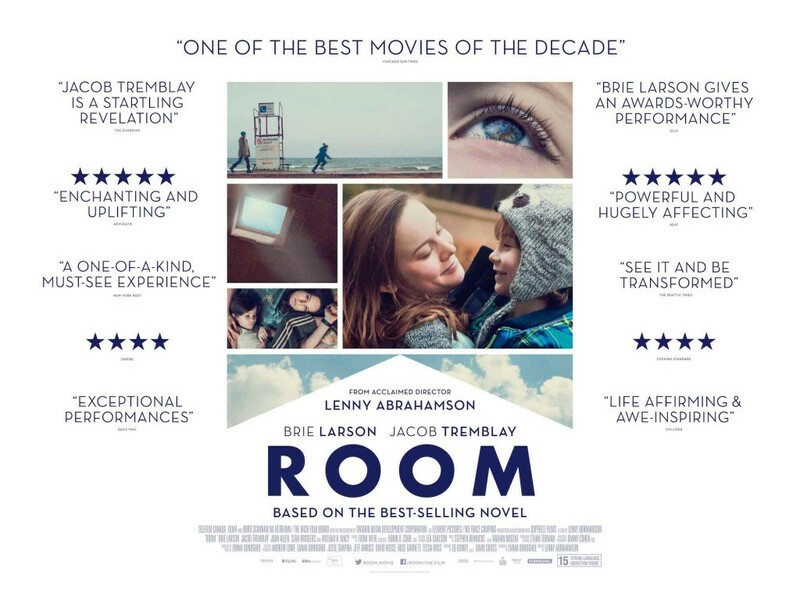 When Room leaves its titular space, it could be overwhelming, and it sometimes is. But it’s anchored by Tremblay’s performance and the quiet tragedy of how these characters will forever be affected by their time in isolation together. What should be a horrendous ordeal, both for the characters and audience, becomes something beautiful and heart-breaking, but ultimately life-affirming.